Done for the Brainstorm group on Facebook. Redesign challenge to redesign Vader. I always thought the red guard looked really cool. Yet was disappointed you never see them in action. They are these cool body guards that protect the emperor and I figured for this redesign. What if they were a more active force like the Jedi order. Vader is the leader. 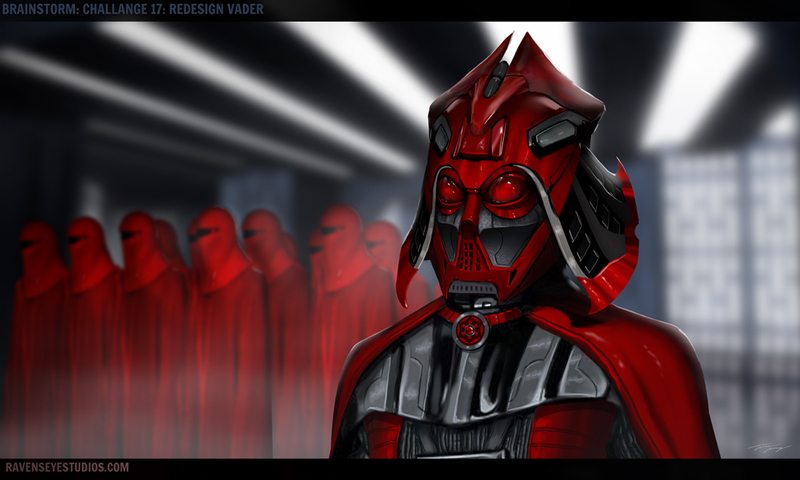 So I wanted his redesign to reflect this elite red guard yet still having the feeling of being Vader.